Sonam Kapoor Reveals Her *True Colours* At Ek Ladki Ko Dekha Toh Aisa Laga Screening! January has been unforgiving, cold and rainy in this part of the world but as they say... every cloud has a silver lining. In my case, it was more of a big, beaming rainbow called Sonam Kapoor. The gloomy weather escaped my thoughts the second I scrolled upon pictures of Sonam Kapoor from the Ek Ladki Ko Dekha Toh Aisa Laga screening last night. Bollywood's last word in fashion, a couple of days back, the actress killed it in her delicious butter-cream coloured personalised saree, with Tamil translations to 'Sonam' and 'Masaba' on it. The relentless queen of sartorial brilliance still prevails, this time, in coordinated separates that warmed me right up on a chilly evening. 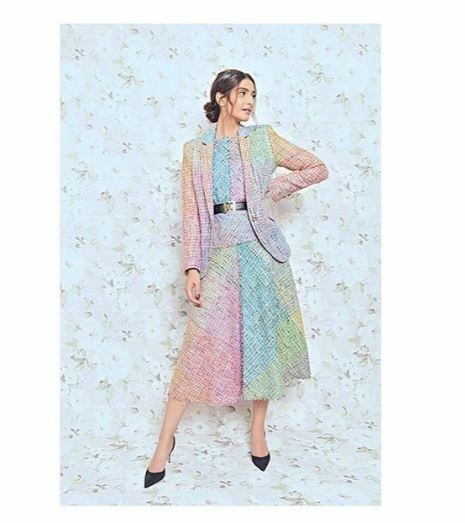 Glowing in a three-piece tweed ensemble by Escada, Sonam's outfit is an exemplary instance of how you can make 'too much' colour work in your favour. 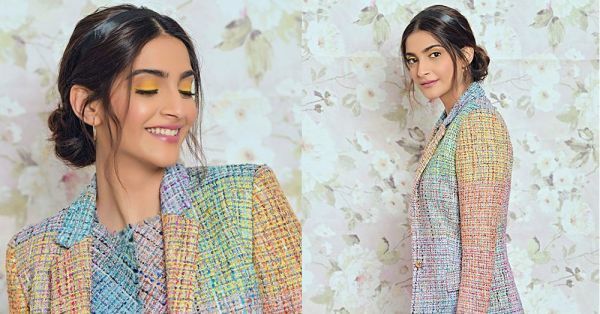 Taking a close look at the top, midi skirt and blazer that Sonam Kapoor chose for the special evening, there are a number of details that stand out. The criss-cross, hatch-pattern flaunted different coloured threads to form what could very well be a contemporary art piece. Rhea, Sonam's stylist and sister, deserves a mention for all the unique, statement-making clothes she picks out for Sonam. This outfit, for example, shows several colours all blending into each other at the edges but still forming a clear block-pattern all over. The many shades of pink, blue, yellow, purple, orange and green made me feel things, good things. Now, this is a vintage style (reminiscent of a 50s Chanel skirt suit) silhouette with a contemporary woven pattern, which Sonam accessorised with a black and gold statement buckle belt and small hoop earrings. She added another splash of black in the form of her quaint pair of short-heeled pumps. 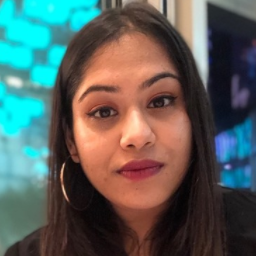 Sonam created the same effect with her makeup and hair - with a dewy face, pink lips, she's working a satin headband, an elegant low bun and wavy wisps framing her face... Then you see it. The bright yellow lids. They break the monotony and add some drama to the look too, don't they? To conclude, I'd think it's appropriate to drop a well-placed pun - Ek Ladki Ko Dekha Toh Aisa Laga... That Sonam Kapoor does it like no one else and I can't wait to watch her break the rules in the movie either. Tomorrow's the day!